At Brilliant, we view our service from the client's perspective. Our Founder started Brilliant because as a client, he found all available options sub-par and decided to do something about it. We view your travel with us as an experience - not merely transportation between points. Our purpose is to delight the most influential people in the world by creating remarkable travel experiences. We do this on a daily basis by continuing to care and innovate. We welcome you to learn more about our service and how we can make your travel experience brilliant. We make sure to arrive at your pickup location 15 minutes early to ensure you leave on time, or in case your plans change. Our technology systems will send updates to your inbox when the chauffeur is on the way and on location. You'll be provided an experienced and knowledgeable chauffeur every time you charter with Brilliant. Chauffeurs go through a rigorous 5 day assessment to ensure you receive top tier service. 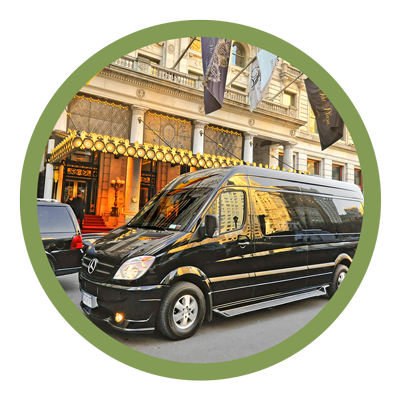 Our founder was a daily user of executive transportation in his previous career and created Brilliant to address the common headaches in the industry. All inclusive pricing, hospitable chauffeurs, and reliability are always provided when you charter with Brilliant. "I LOVED arriving in my Brilliant ride!! Thanks so much! My friend loved the van too, and he does loads of events in NYC."